Black Beans: They contain large amounts of proteins which does not involve any fats that are saturated and which affect the body, the ideal quantity of black beans that is to be consumed should be a cup which contains around 15 grams of proteins in it. Oats: They help in increasing the metabolism and also burn fats so quickly, the fiber component in it helps you feel away from hunger all over the day even if consumed in sufficient amount. Half a cup of oats contains resistant starch around 5 grams. Apples: These are very healthy foods which contain low calories and diet can be maintained because of phytonutrients that are present in them. 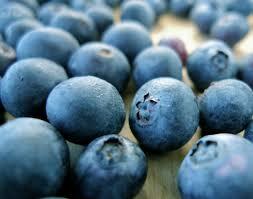 The antioxidants and fiber which plays a main role in maintaining diet are also present in them. They keep you away from diseases and help to maintain good health. 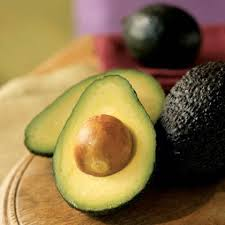 Avocados: They contain fiber and proteins and also fats which are helpful in reducing the fats .Oleic acid, which produces monounsaturated fats that helps you in reducing the hunger, is present in avocados. Large amounts of fats can be melted away by consuming small amount of this fruit. 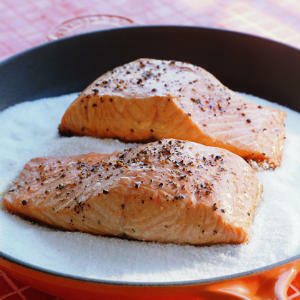 Salmon: These contain fewer fats in them and sufficient quantity of proteins that keeps you away from hunger. 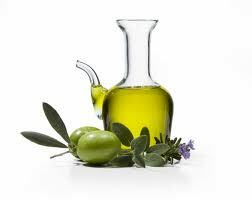 It is a low fat diet that helps in burning fats and maintains considerable diet. 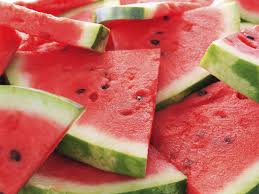 Watermelons: It is a natural super food that helps in reducing the fats in the body because of the powerful antioxidant that it contains. It contains water in large ratio comprising of Vitamins A and C.
Mushrooms: They contain fewer amounts of calories when compared to meat but gives the taste of meat and it is a pure vegetarian food. 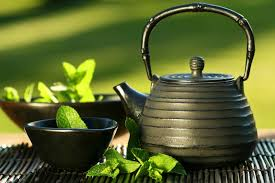 This also helps in burning fats in the body and weight can be reduced consuming a cup daily. 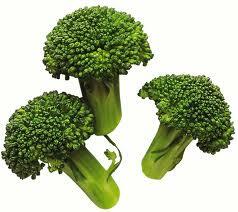 Broccoli:It is of a plant family which contains phytonutrients, vitamins and proteins that helps in shedding weight. Sufficient amount of Fiber is present in less amount of broccoli which helps in reducing fats. 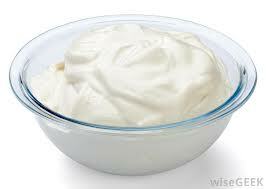 Yogurt: It contains B-Vitamin and calcium and is very easily digestible compared to milk. It helps you boost immunity, reduces the risk of colon cancer and always regulates your blood sugar level and keeps your hunger pangs in control. 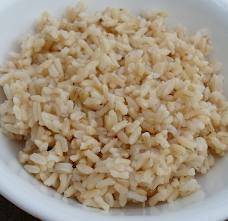 Brown Rice: It contains fibre, protein, selenium and is a low calorie rice substitute. Brown rice is low in saturated fats and has less Cholesterol and Sodium quantities. It serves as a heavy filling and you will not be hungry. Half cup of Brown rice contains around 1.7 grams of Resistant Starch; it helps you boost your metabolism and burn fat faster. 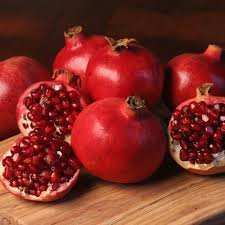 Pomegranate: Pomegranates contain folic acids, Vitamin C, potassium and antioxidants. They are rich sources of fiber and are very low in calories. It is the healthiest fruit that helps you fight against cell damage, erectile dysfunction and inflammation of arthritis. 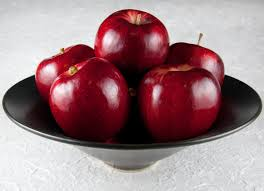 This fruit also increases the oxygen levels of the heart. It satisfies your sugar cravings and controls your body weight. It can be taken either in raw fruit form, juices or can also be added into salads. 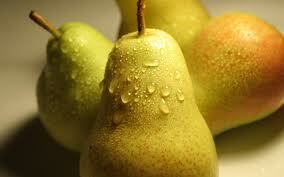 Pears: Pears are the best sources of anti-inflammatory nutrients and antioxidants. 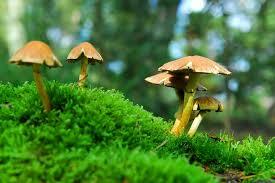 They contain 4 times the phenolic phytonutrients compared to flesh. 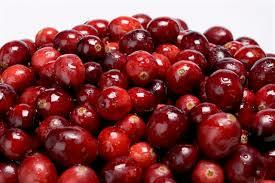 They help in reducing the risk of cancer and contain dietary fiber, which can be easily digested. They contain about 15% of your daily fiber intake. So do not peel it off, add this fruit into your diet with peel. 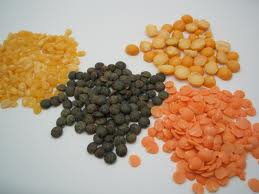 Lentils: They are the best sources of fiber and protein. Half cup of lentils contain about 3.4 grams of Resistant Starch, which is a carbohydrate that aids in burning excess fat and also helps you boost metabolism. Hot Chile Peppers: Talking hot Chile peppers along with fresh tomato juice about thirty minutes prior to your meal, consuming this juice ensures that your appetite is satisfied faster and you’ll eat 10% less than your regular quantity. 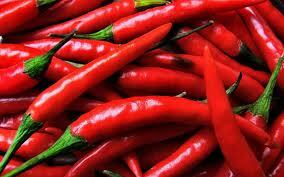 So these peppers are considered to be the best food for losing weight. 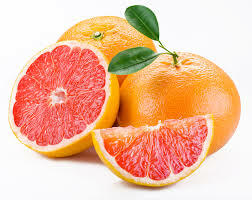 Grapefruit: It is a tangy fruit that contains protein and has lots of water. It helps you in lowering your insulin levels and the fat-storage hormone present in this fruit, will help you reduce weight. Before having a meal, eat half a grapefruit, it helps you lose about one pound a week. Since it contains 90% of water, it fills you up soon so that you’ll eat less. 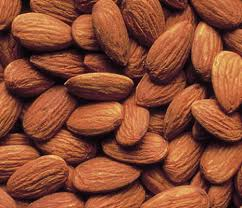 Almonds: Almonds are one of the super foods that have healthy fats, which help you in slimming down faster. Add nuts to your daily low-calorie diet, it aids you in losing more weight, as more chewing of the almonds releases more fat and high fiber and satisfies your hunger pangs. 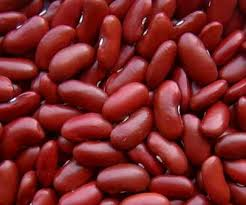 Kidney Beans: Kidney beans contain cholesterol-lowering fiber; it also prevents the blood sugar levels from rising after each meal. These beans offer a lot of protein and fiber to your daily meal. 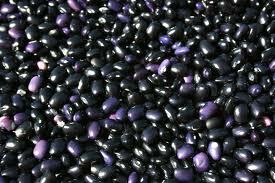 Half cup of Kidney beans contains Resistant Starch and provides around 2 grams of slimming carbohydrates. Olive Oil:Oils generally contain fats in them, but olive oil is something which contains right fats that helps in burning fats, helping for weight loss. Olive oil keeps you full for longer hours due to the poly unsaturated fatty acids that are present in it; some ratio of oleic acid is present in it which also helps in reducing fats. 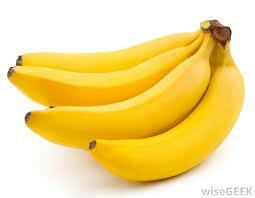 Bananas: Ripe bananas contain some quantity resistant starch which helps in metabolism. Ideal sized banana which is slightly greenish contains around 12 grams of resistant starch which helps in weight loss and body slimming. Eggs: Having eggs for breakfast helps in weight reduction and also calorie and fat burning process. 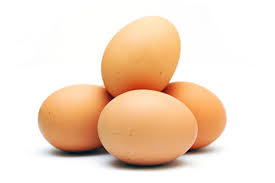 Survey has been carried out that though there is cholesterol present in eggs they do not affect the body as they are not highly bad cholesterols. 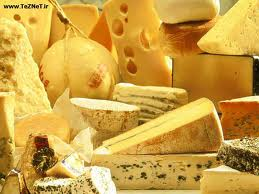 Cheese: The fatty acids that are present in the cheese help in fat burning and weight loss. These fatty acids help hunger pangs away which in turn help in body slimming and make you look fit. 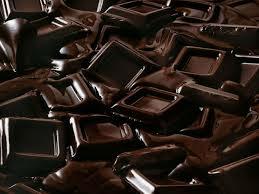 Dark Chocolate: The digestion process can be retarded by consuming fewer amounts of dark chocolate, which makes you feel full. It boosts the process of metabolism that aids in the fat and calorie burning process. 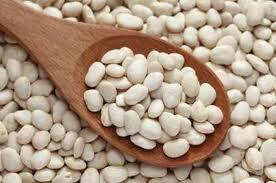 White Beans: They contain carbohydrates that increases the metabolism helps in fat reduction and calorie burning. 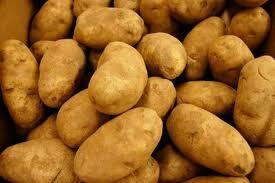 It also contains resistant starch around 4 grams that helps in losing weight, stay fit and healthy. 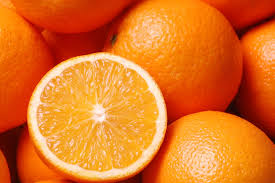 Oranges: The fiber content present in the oranges pangs away the hunger and makes you feel full which keeps you stay longer for the next meal. So, oranges help in weight reduction and health care. 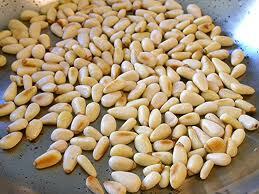 Pine Nuts: Pine Nuts are another super food that provides healthy fatty acids to the heart. These nuts will suppress hunger hormones and help you in burning belly fat. The saturated fats that are present in the nuts will help you lose weight overweight without exercising or reducing your calorie intake.